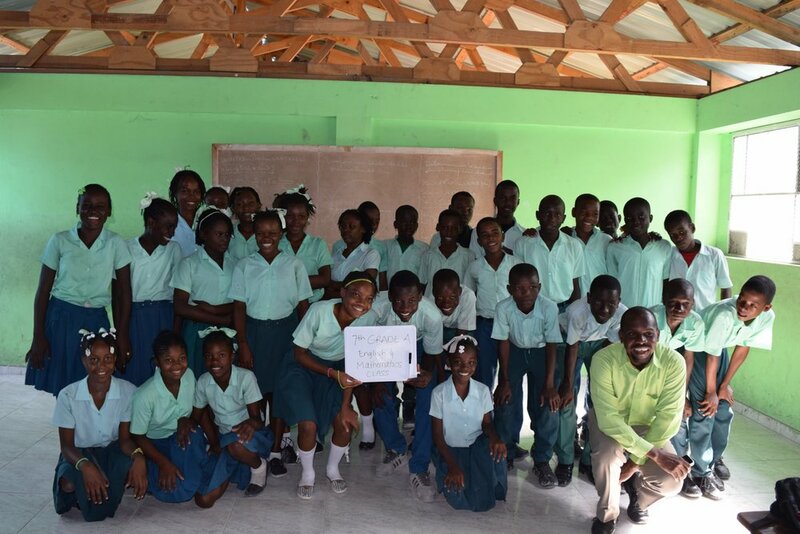 Most kids in Haiti drop out before 6th Grade. Help these students succeed! Your sponsorship helps us feed 500 kids daily! Education is one of the keys to a better life for the children of Haiti, their families, community, and their country. These children are the next generation of leadership and hope for Haiti. The children in our program attend the Good Shepherd School in Pele, one of the most impoverished villages in Port-au-Prince on the outskirts of Cite Soleil. Through sponsorship, a child is able to attend school, provided a hot meal, and encouraged to succeed. The support of the school program depends on Sponsors who pledge $30 per month or more to a fund that provides for the school’s needs—the salaries for 44 teachers, materials, clean water, and a feeding program. As a Sponsor you will receive a photograph, short bio and a monthly email update. We also provide opportunities for sponsors to visit the school and meet your sponsor child. Recurring Monthly Gift by Credit Card - Tap on the photo of a child below to select for sponsorship. Remember their name and follow the directions given to enter your information.